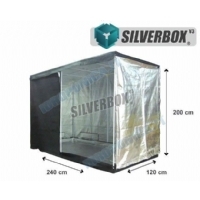 The SilverBox is a well made grow tent lined inside with a highly reflective mylar material to increase light intensity inside the enclosure. The tent is sturdy and robust constructed using a single piece of tear proof material which is waterproof, air-tight and light-tight. 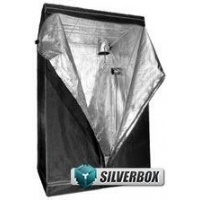 View a tipical Grow Box Set-up: Click Here.